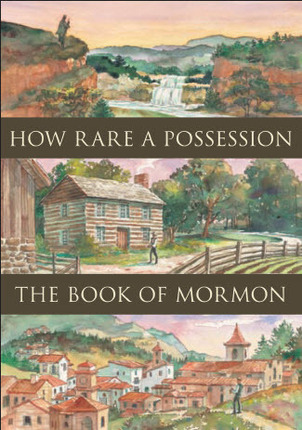 Portrays the origin and coming forth of the Book of Mormon and how 19th-century Parley P. Pratt and 20th-century Vincenzo di Francesca developed testimonies of the book. Truly the title says it like it is. Both of the two movies were done beautifully. Everything about them from being directed, acted and produced, you will feel that once you view them. Growing up on them as some of the limited virtuous entertainment available on the Sabbath was a joy and has developed a reverence for all who have a story about how the Book of Mormon makes anew lives that were half lived at best. I see it as part of the early beginnings of the great new era in LDS story telling, be it through the church or not it captures the essence of a great message more than many feature length movies of its time or even today for that matter. It delivers quite well for the time and money that was available to make such films. Make the purchase and enjoy for years to come.